Editor’s note: I’ve written about finding alternate uses for things that are normally thrown in the trash. The article below provides survival uses for things often found in the garbage. 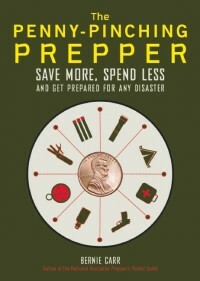 All too often preppers place their focus almost exclusively on the pregame stages of bugging out. This makes a great deal of sense since the better prepared you are, the more likely you are to survive during a disaster. However, that does not mean you should only focus on the actions you can take beforehand. Because a disaster situation is inherently chaotic, chances are your plan will not function exactly as you intend it to. Something will inevitably go wrong to force you to have to improvise. Of course, there are ways you can plan for this too, and one of the best is to identify an often overlooked resource: trash. Despite or civilized revulsion of garbage, a great number of items we casually throw away daily can quickly and easily be repurposed into legitimate tools and gear that can save your life in a survival scenario. That is why we have put together a list of the 7 best survival trash items. 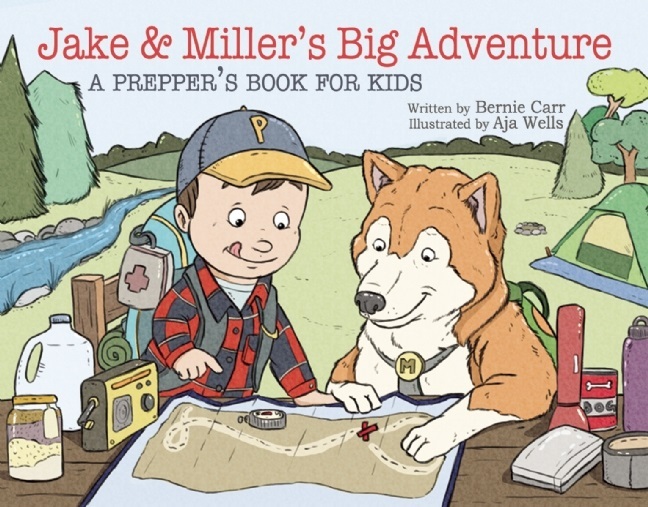 Even if you are just beginning your first steps into the prepper’s world, you have likely heard numerous preppers extol the virtues of the humble trash bag. While it might generally be used to contain refuse and all things foul before disposal, the trash bag is arguably one of the most useful items you can have available during a survival situation. Considering most trash cans will have at least one or more trashbag in them, this object has the added distinction of not only being one of the most useful items you can find in the trash but one of the most plentiful as well. Together, this makes the trash bag one of the first items you should scour for should you be scavenging in the garbage like your life depends on it. While the specific uses of a trash bag are too numerous to go into here, they can broadly be broken down into three main categories: collection, protection, and cordage. While there are definitely a number of uses that do not necessarily fit into those categories, the overwhelming majority ultimately boil down to one of those three. For the collection portion, this can include everything from collecting water–both from a readily available source or otherwise–collecting food–including plant and animal–or simply carrying your gear. The protection category will include mostly protecting yourself and your gear from the elements–generally water but also the cold and sun. Cordage involves weaving twisted strips of the trash bag into a braid that is surprisingly strong. Depending on where you find the trash bags which should be your first goal, the next may very well be taking the container that held them. Trash cans may not be quite as utilitarian as trash bags in terms of their overall versatility, but they can provide a tool that very few items you are likely to encounter will. Arguably one of the best ways to use a trash can is as a water collection container. Because clean water may become scarce–especially if water treatment plants become inoperational–the ability to store large reserves of water becomes paramount. Unless you live near an unpolluted source of freshwater, your best bet will be rain. Of course, being able to collect a large amount of rain necessarily requires a large container–enter the trash can. Trash cans can also serve to assist in the acquisition of another vital need for survival: food. Much like trash bags, trash cans can be fashioned to both catches living prey and collect plants. Though, the trash can has the added bonus of also being able to grow food within it. Still, the ability to catch scavengers and provide a reliable source of meat should not be overlooked. Depending on the type of trash can, you may also be able to protect your electronics. In the event of a nuclear explosion or a specialized EMP blast, a metal trash can shield your electronic devices from the EMP shockwave–just be sure to place your devices on an insulating material and not against the metal sides or bottom of the trash can. Rivaling trash bags in terms of utility, aluminum foil is another item anyone even loosely familiar with prepping is liable to know as an immensely useful resource. However, when it comes to trash, this one may be a bit rarer. Even worse, when you do find aluminum foil in the trash, chances are it will need to be cleaned and decontaminated–especially if it was used for food storage. Once you have retrieved the aluminum foil, the primary use you are liable to employ it for will involve all things heat related. While this will generally involve fire in some context, it can extend well beyond that singular category. Related to that, foil will often provide some of it best utility when interacting with light too. For the former, aluminum foil can serve as an excellent fire starter with just the inclusion of a cotton ball and a battery. Of course, once you have started the fire, more aluminum foil can then be used to construct a makeshift grill. Finally, aluminum foil can also be worked into cups or bowls, making it an almost singular item for meals from start to finish. In regards to light, aluminum foil can be used as an excellent daytime signaler. Of course, the same reflective properties can be used at night, and aluminum foil can be used to make a reflective path around your shelter. Keeping in line with the first use category, aluminum foil can also be fashioned into a solar oven which does not even need fire to cook your food. Cans can be almost as versatile in terms of its use as aluminum foil can and will often be able to accomplish many of the same tasks. However, cans are generally less pliable which does limit its utility a bit, though it can also provide uses foil cannot accomplish. Though, it is important to note that different materials will provide different utilities. One thing that most cans will have in common is its abilities to hold contents. While they may not be able to hold much, they often do not have to. Cans can serve both as a pot and as a stove. If you string them up together, they can also provide a solid alarm system to alert you, in case predators or looters show up. Depending on how the can is finished in its manufacturing process, there is a good chance that it provides at least one reflective surface. Just like with foil, this can be used for both daytime and nighttime signaling. Unlike foil, a can’s rigidity will also allow it to serve as a simple digging tool. When it comes to materials, cans are generally made from either aluminum or tin. One of the major advantages that tin has is the ability to fashion the top into a simple sharp-edged tool. This can be used both for self-defense and for utility purposes. Aluminum cans provide an amazing tool in the form of the tab. The tab can be used as a fishing lure or fashioned into a hanger. Because an aluminum can is a bit more pliable than tin but still somewhat firm, it can also be used to make a survival whistle. Though they can perform a number of the same functions, plastic bottles can be more effective than cans for a number of purposes. Plastic bottles are likely just as prevalent in the trash as cans are–especially aluminum cans–which means you can and should scavenge for both of them should you find yourself in a situation that calls for it in the first place. One of the main advantages that plastic bottles have over cans is weight. Even if you are already set up at your survival shelter, you likely do not want to load yourself down with weight while scavenging. As such, plastic bottles and aluminum foil can often cover all of the utility of cans at less weight. Arguably one of the biggest advantages of most water bottles for this list is the fact that they are often transparent. This is especially important if you need protective eyewear. You can simply cut out a strip and cut a nose bridge, then tie cordage into a hole on either end of the strip. If you can find a darkened plastic bottle, you can make impromptu sunglasses as well. Another advantage that plastic bottles have is their ability to float. While the metal from cans can be fashioned into hooks and lures, you still need a bobber to when to pull in the fish. Cans will not work for this as well as a bottle–though you will probably want to use as small of a bottle as you can. Similarly, if you collect enough, you can even fashion plastic bottles into a raft–though this is more of a long-term project. Another common item in the trash is paper. Paper is an incredibly useful material that can be fashioned into a wide number of survival gear. Even better, paper can come in a number of different strengths and thicknesses which can be used for different purposes. The most common forms of paper you will find in the trash are newspapers and toilet paper rolls. This one can be a bit tricky due to the low durability of paper. This means that depending on what you want to use the paper for, you may need to either search longer or take additional steps before it is appropriate for use. The most common issue with paper is that it will either be wet or contaminated. One of the most obvious uses for paper will be as tinder. Of course, if the paper is wet, you will need to let it dry which could take a fair amount of time depending on how thick it is. A wet newspaper can take an hour or more to dry in the sun. If you need tinder right away, it is best to keep searching and save wet paper for later. Of course, this quality also allows paper to serve as a drying item as well for wet boots or clothes. Another use for paper that many people may not consider is an insulator. Even though it is a pressed mulch material, paper is generally still made from an adhesive and fibrous material. That material will allow you to trap heat anywhere. Paper can be used to insulate your shelter, your bedding, and even yourself under your clothes. While this may not necessarily be as common in a residential area, if you happen to scavenge near a commercial or industrial center, you are liable to find plenty of steel. Once you do, the potential use for steel and other scrap metals are almost limitless. Keep in mind though, there are two important situational distinctions for this material. First, if you are trying to use steel in an impromptu fashion, you are liable to be limited to a few uses–though they can be vital. Supports for a shelter, like guyline stakes, are an excellent use of found scrap metal. Likewise, the ability to turn larger pieces of scrap metal into digging or self-defense tools cannot be overlooked. However, the best use of scrap metal comes when you have already established yourself at your survival shelter and are simply venturing out to scavenge. In this circumstance, scrap metal becomes one of the more valuable resources you can find. This is because it is a relatively easy task to set up a small forge. Of course, this process will still take time and some particular knowledge, but once you construct a small forge, you can begin melting found scrap metal to make practically any tool you can conceive. This can include both softening the metal to be worked directly or melting it all together and pouring it into a cast mold. Depending on the severity of the disaster and how long you need to survive, it may well come to pass that scavenging is a vital part of your daily routine. Beyond the necessities of food and water, tools and other supplies will also have to be replaced. Of course, just because society collapsed does not mean that it still does not have a bevy of resources waiting to be put to good use. This list is just a smattering of some of the more common and useful items you can find in the trash to aid in a survival situation, but it is by no means an exhaustive list. Whenever you come across something in the trash or on the ground, just give half an hour’s thought into how many ways it can be used. You will probably find more than you would expect. For more tips on survival and a thorough checklist from the obvious to the obscure, check out our comprehensive guide. Whether a veteran or a novice, there is liable to be something new and of use that you did not see before–just like the things in this list that we often think of simply as trash. Conrad Novak is a proud father of two children. His journey as a prepper began when Hurricane Katrina hit and he lost his job due to the 2008 economic crisis. That made him realize that everything can change for the worst in a very short time. This experience was the detonator for him to pursue learning and becoming better prepared to face the kind of unexpected disasters that may occur at any point in our lives. Find him on Twitter https://twitter.com/survivorfrtress You can read more of his content at SurvivorsFortress.com.